133. The commentators betray their ingenuity by emphasizing the word ishubhis (with arrows), explaining, "how can I encounter them with arrows whom I cannot encounter with even harsh words?" 134. 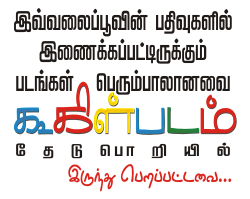 Arthakaman is an adjective qualifying Gurun. Some commentators particularly Sreedhara, suggest that it may, instead, qualify bhogan. The meaning, however, in that case would be far-fetched. 135. Sreedhara explains that Karpanya is compassion (for kinsmen), and dosha is the fear of sin (for destroying a race). The first compound, therefore, according to him, means,--"My nature affected by both compassion and fear of sin, etc. It is better, however, to take Karpanya itself as a dosha (taint or fault). K. T. Telang understands it in this way. Upahata, however, is affected and not contaminated. 136. What Arjuna says here is that "Even if I obtain such a kingdom on Earth, even if I obtain the very kingship of the gods, I do not yet see that will dispel that grief which will overtake me if I slay my preceptor and kinsmen." Telang's version is slightly ambiguous. 137. The Bengal texts have Parantapa with a Visarga, thus implying that it refers to Gudakesa. The Bombay edition prints it without the Visarga, implying that it is in the vocative case, referring to Dhritarashtra, the listener. 138. One of the most useful rules in translating from one language into another is to use identical words for identical expressions in the original. In translating, however, from a language like Sanskrit which abounds in synonyms, this is not always practicable without ambiguity. As an example, the word used in 13 is Dhira; that used in 11 is Pandita. There can be little doubt, however, that Pandita and Dhira have exactly the same meaning. 139. Amritatwa is really emancipation or non-liability to repeated death or repeated rebirth. To render it as "immortality" is, perhaps, a little slovenly, for every soul is immortal, and this particular section inculcates it. 140. Sat and asat are the two words which must be distinctly understood as they occur often in Hindu philosophy. Sat is explained as the real, i.e., the soul, or anything as real and permanent as the soul. Asat is the reverse of this, i.e., the unreal or the Non-soul. What is said here by Krishna is that the unreal has no existence; the real, again can have no non-existence. Is not this a sort of cosmothetic idealism? 141. Most texts read Yudhaya Yujyaswa. A manuscript belonging to a friend of mine has the correction in red-ink, Yudhaya Yudhaya Yudhaywa. It accords so well with the spirit of the lesson sought to be inculcated here that I make no scruple to adopt it. 142. A life in this world that is subject to decay and death. So say all the commentators. 143. 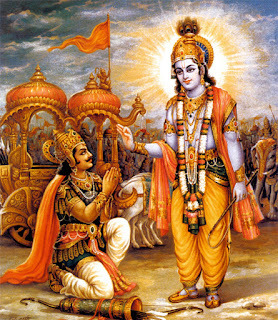 What Krishna seeks to inculcate here is the simple truth that persons who believe in the Vedas and their ordinances laying down specific acts for the attainment of a heaven of pleasure and power, cannot have the devotion without which there cannot be final emancipation which only is the highest bliss. The performance of Vedic rites may lead to heaven of pleasure and power, but what is that heaven worth? True emancipation is something else which must be obtained by devotion, by pure contemplation. In rendering Janma-Karma-phalapradam I have followed Sankara. Sreedhara and other commentators explain it differently. 144. This sloka has been variously rendered by various translators. It is the same that occurs in the Sanat-Sujata Parva of the Udyoga. (Vide Udyoga Parva, Section XLV). Both Sreedhara and Sankara (and I may mention Anandagiri also) explain it in this way. Shortly stated, the meaning is that to an instructed Brahmana (Brahma-knowing person and not a Brahmana by birth), his knowledge (of self or Brahma) teaches him that which is obtainable from all the Vedas, just as a man wanting to bathe or drink may find a tank or well as useful to him as a large reservoir of water occupying an extensive area. Nilakantha explains it in a different way. 145. Srotavyasya Srutasyacha is literally 'of the hearable and the heard', i.e., "what you may or will hear, and what you have heard." European translators of the Gita view in these words a rejection of the Vedas by the author. It is amusing to see how confidently they dogmatise upon this point, rejecting the authority of Sankara, Sreedhara, Anandagiri, and the whole host of Indian commentators. As K. T. Telang, however, has answered the point elaborately, nothing more need be said here. 146. One may abstain, either from choice or inability to procure them, from the objects of enjoyment. Until, however, the very desire to enjoy is suppressed, one cannot be said to have attained to steadiness of mind. Of Aristotle's saying that he is a voluptuary who pines at his own abstinence, and the Christian doctrine of sin being in the wish, mere abstinence from the act constitutes no merit. 147. The particle 'he' in the second line is explained by both Sankara and Anandagiri as equivalent to Yasmat. The meaning becomes certainly clearer by taking the word in this sense. The 'he', however, may also be taken as implying the sense of "indeed." 148. Buddhi in the first line is explained by Sreedhara as Aintavishayak buddhi. Bhavanta Sreedhara explains, is Dhyanam; and Sankara as Atmajnanabhinivesas. K. T. Telang renders Bhavana as perseverance. I do not think this is correct. 149. Sankara, Anandagiri, and Nilakantha explain this sloka thus. Sreedhara explains it otherwise. The latter supposes the pronouns yat and tat to mean a particular sense among the Charatam indriyanam. If Sreedhara's interpretation be correct, the meaning would be--"That (one sense) amongst the senses moving (among their objects) which the mind follows, (that one sense) tosseth the mind's (or the man's) understanding about like the wind tossing a (drunken boatman's) boat on the waters." The parenthetical words are introduced by Sreedhara himself. It may not be out of place to mention here that so far as Bengal, Mithila and Benares are concerned, the authority of Sreedhara is regarded as supreme. 150. The vulgar, being spiritually dark, are engaged in worldly pursuits. The sage in spiritual light is dead to the latter.